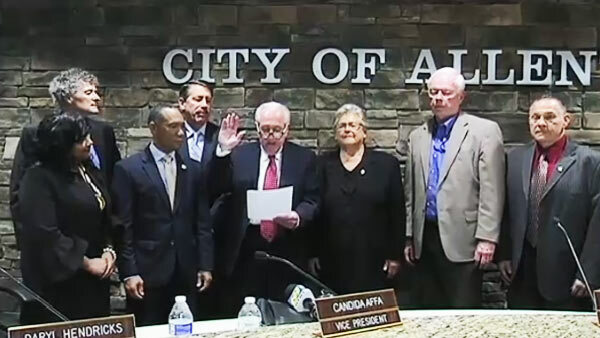 ALLENTOWN, Pa. (WPVI) -- After a rules fight, a deadlock and a dozen rounds of voting, a former president of the Allentown City Council has been chosen as the interim mayor of the city to replace a former mayor convicted of trading city contracts for campaign cash. Council members Thursday night chose former president Ray O'Connell, who will serve through the end of 2019, after which the next elected mayor will be sworn in. Council members voted 4-3 to override a city solicitor's opinion that a charter provision barred selection of O'Connell, who mounted two campaigns for mayor last year. Former mayor Ed Pawlowski stepped down following his conviction on 47 counts including bribery, attempted extortion, and lying to the FBI. The 52-year-old Democrat, who denied wrongdoing, was two months into his fourth term.